What’s the future of Windows Phone? A post over at the Boy Genius Report this week has stirred up a bit of a tempest in a teapot, as according to BGR, Windows Phone has “failed spectacularly” to gain market share, and a “death knell” has been sounded on the “entire Windows Phone project”. That report, which was picked up for wider distribution by Yahoo! News, spurred on a number of retorts, including a post at All About Windows Phone, which spins the numbers to make Windows Phone’s numbers not so bad, after all. Microsoft isn’t just going to give up on Windows Phone. Or run out of money. It’s tied into the company’s strategy across desktop, tablet and cloud spaces, and it’s all bankrolled by a company as (relatively) rich as Google or Apple. Still, Microsoft has dug itself quite a hole, and “rebounding”, depending on of course where we see it rebounding to, is still quite a task. Microsoft, as it has been in so many consumer facing initiatives, came dangerously late to the party, and it’s clear that Google took advantage of their sloth to gain an advantage it won’t be giving up anytime soon. In fact, with Google’s ambitious plans to use Android to expand further into consumer’s lives, laid out in last month’s Google I/O, not only has Google snatched the foundation away from Microsoft, but it has grand plans to build upon that new foundation (without including the likes of Windows or Office). Microsoft clearly missed an opportunity, and buying Nokia, or changing CEOs isn’t going to change that. Another critical point missed by both BGR and AAWP is that the very act of buying Nokia has, unfortunately, set Microsoft back. Other than the specialty phones like the 1020 and 1520, Nokia has not released a flagship device in quite some time, and by all rights should have in the first quarter of this year. It didn’t. In fact, Microsoft is getting perilously close to missing the back to school cycle with new devices, and should have been riding a marketing blitz for phones released in March to carry over into back-to-school and then the holiday cycles. Another year, another sales cycle (close to) lost. The numbers coming from the Kantar Worldpanel reflect a lack of excitement over new devices as much as a move away from Windows Phone itself. What’s important to note in the strategy change between Nokia as a separate company and now as a division of Microsoft, is that the focus has changed considerably. While Nokia could make at least a run at profitability by selling cheap phones to emerging markets (hence the introduction of the Asha brand, Nokia X, and the focus on low end phones like the 520 and the new 930), those phones don’t necessarily sell Microsoft services, or provide any type of lucrative alternative for app developers to get rich quick. Microsoft’s focus for Nokia needs to be far more business oriented, far more high-end oriented, and far more 1st world market oriented. It needs to provide the best in class services along with the best in class devices. Microsoft, for all of its lack of market share, still blows Apple away with its service offerings, and already has a firm foothold in the enterprise, something that both Apple and Google are scrambling to achieve. Google is much better positioned than Apple with its full range of popular services, but Microsoft at least stands a fighting chance. It was interesting at the latest Apple WWDC to hear Apple tout its walled garden approach to devices and services. Microsoft, by being slow to the draw in the smartphone market, left Apple in a strong position, at least in the US. Apple, however, is behind both Microsoft and Google in maps and location services, in cloud storage, in email services, and in enterprise services. They have the market share, but not the services, just about the opposite of Microsoft. So what can Microsoft do to “rebound”? Deliver a steady stream of world class devices, for one, on time and in a position to “surprise and delight”. Gain a sense of urgency, for another. We’ve seen a change of leadership, but not necessarily a change in attitude coming from Microsoft. Antics like the last minute pulling of the “Surface Mini” (reportedly because it was decided, at the last minute, that it wouldn’t sell – heck, we could have told you that!) show that it’s still the same old Microsoft, at least so far. We’ve been given lip service to a new “challenger mentality”, but so far, the song remains the same. Other than that, as All About Windows Phone implies, Microsoft needs to, and most likely will, stay the course. Continue to refine and combine Windows Phone and Windows, build some great new devices, focus energy on services and the software that powers them, and fight tooth and nail behind the scenes to gain market share, hold the enterprise, wield its patent holding powers, and do something to begin to change consumer mind share. If Microsoft can put a renewed energy behind these battles, it might climb above IDC’s latest prediction of 6.4% market share by 2018, maybe even above the mythical 10% line. If not, it’s entirely possible for Microsoft to continue to wither away below 5%, moving yet again too slowly, arriving yet again too late to the party. Where do you see Windows Phone (and along with it, Microsoft) in 3-5 years? Can Windows Phone “rebound”? 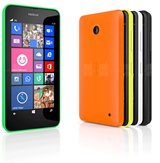 Will Microsoft be a player, or only a bit player, in the consumer mobile market?